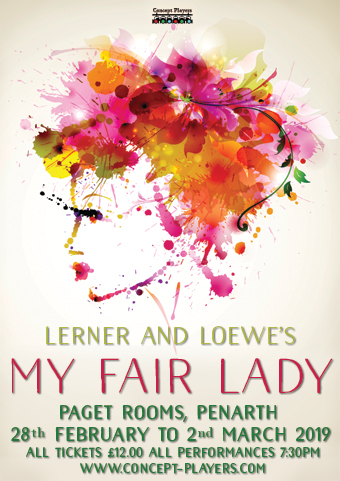 The multi-talented (and multi-award-winning) Concept Players return after Pirates of Penzance and Merrily We Roll Along, with the classic Lerner and Loewe musical, My Fair Lady. Follow the story of cockney Eliza Doolittle as she is transformed by Henry Higgins into a lady. This musical is chock full of unforgettable songs such as Get Me To The Church On Time, Wouldn’t It Be Loverly, With A Little Bit Of Luck, I Could Have Danced All Night and, of course, On The Street Where You Live. This fun musical is brought to you by Concept Players, well known for their colourful quality productions so this isn’t one to be missed.